Securities regulators are investigating Charles Schwab and Merrill Lynch over whether they are doing enough to police their clients' identities, sources said, a sign a crackdown on money-laundering is expanding, two sources told Reuters on Wednesday. Specifically, the regulators are looking into whether the brokerages missed red flags that could indicate attempts to move money illicitly or to feed proceeds from illegal activities into the financial system, the sources said. The Securities and Exchange Commission is probing Charles Schwab and Merrill Lynch for violations of anti-money laundering rules that require the brokerages to know their customers, the sources said. 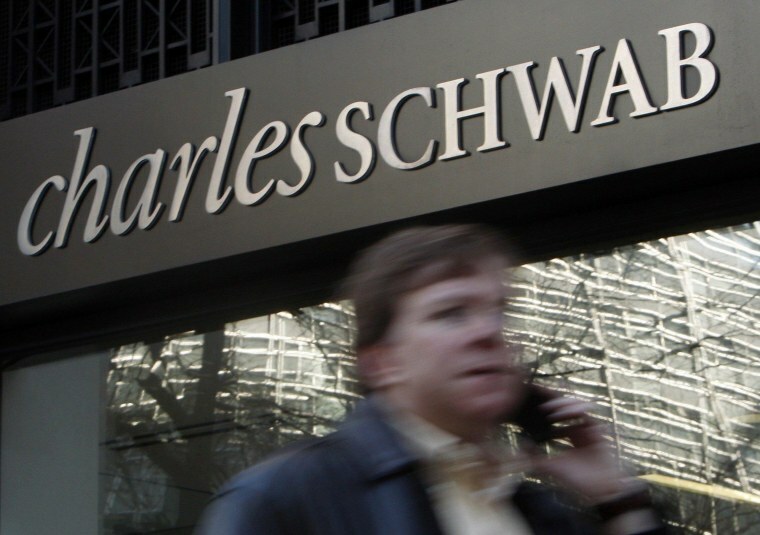 Schwab is conducting an internal investigation, one of the sources said. A spokesman for the SEC declined to comment. Representatives of Schwab and Merrill did not immediately respond to requests for comment. It was not clear what penalties the SEC would seek or whether it planned to also charge individuals or any other financial institutions for any violations. The investigation is not yet complete and the timing of any cases against the companies could not be learned. U.S. Treasury Undersecretary for Terrorism and Financial Intelligence David Cohen began urging regulators two years ago to make sure financial institutions are identifying the true beneficial owners of their accounts. Cohen's exhortations came amid concerns that bad actors, such as drug cartel members and terrorists, are growing more creative in their attempts to secretly transfer tainted funds. The SEC's investigation so far has found Charles Schwab and Merrill did not pay close enough attention to their clients' true identities, and accepted shell companies and individuals with fake addresses as clients, two sources said. In both cases, some of the accounts, whose ownership the brokerages did not adequately investigate, were eventually linked to drug cartels, they said. One of Charles Schwab's clients, a rancher in Texas, was found to be transferring money to a holding company that was revealed to be a shell company, according to one of the sources. The source said most of the suspect account holders in the Schwab case were located near the Mexican border and some were linked to drug money in Mexico. Some accounts contained hundreds of thousands of dollars while others held millions, the source said.